Dr. Kristen England, Education Liaison for the Beer Judge Certification Program (BJCP), explains the new AHA/BJCP structured scoresheets and offers some advice on general judging efficiency. These scoresheets will be used in the 2018 National Homebrew Competition. Learn more about the new AHA/BJCP competition scoresheets and access downloads of the update beer, mead, and cider scoresheets. 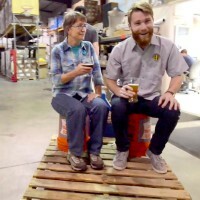 Video created by BJCP and Chip Walton of Chop & Brew.